The broadcast and media industry’s transition from Serial Digital Interface (SDI) to Internet Protocol (IP) as the primary means of moving signals between and through facilities is well and truly upon us. With the transition comes the promise of increased agility and system scalability that can help broadcasters develop new business models to remain competitive. While there’s no longer a question as to whether or not a transition is necessary, opinions are quite varied regarding the pace and level of priority a broadcaster should be placing on the transition. The great promise of IP is to create a truly open and interoperable environment for the smooth plug and play of best of breed technologies. IP is a bit like SDI, in fact, but with greater potential for economic and creative benefit. One impediment to this transition is that multiple, competing approaches to the transition are being introduced, complicating an already daunting decision for broadcasters, live event producers, news organizations, and corporate AV users. These approaches are promoted under the brands: AIMS, ASPEN, NewTek NDI and Sony NMI. Each of these brands can count multiple manufacturer supporters, claim to be standards-based, and declare to be an open system. But no scheme has been fully ratified by any international standards body and the degree of openness is up for interpretation. Each offers a solution to the same problem: IP in the live production environment. This is the biggest challenge for IP due to the nature of the application. Low latency in conjunction with discrete and reliable switching is required. All the approaches recognize that IP affords the opportunity to move from the constraints of SDI to allow for independent video, audio, and metadata streams. The differences between the groups is, broadly, how to deliver this. 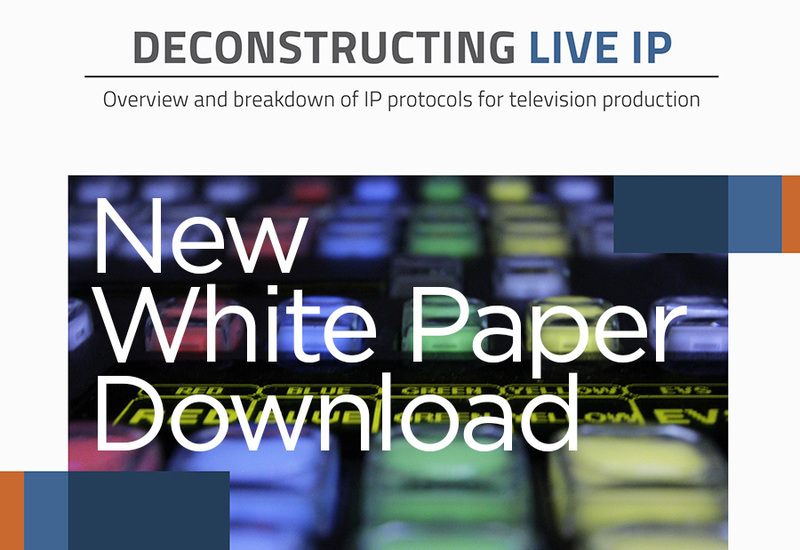 To provide an unbiased and independent analysis of the competing approaches to broadcast IP video, Alpha Video sponsored a white paper on this topic entitled, “Deconstructing Live IP." To request the white paper and to find out more about Alpha Video's broadcast solutions and services, go to www.alphavideo.com/markets/broadcast.